We loved this incredibly detailed Alice in Wonderland costume! What a clever way to create a more unusual Alice costume – the scene where Alice gets stuck in the house is certainly a memorable one. 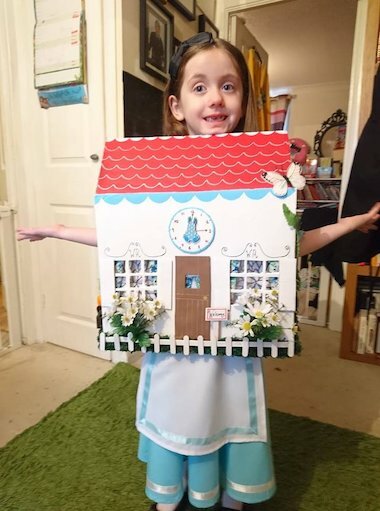 This beautifully made costume even includes a picket fence and garden! Another very inventive costume! 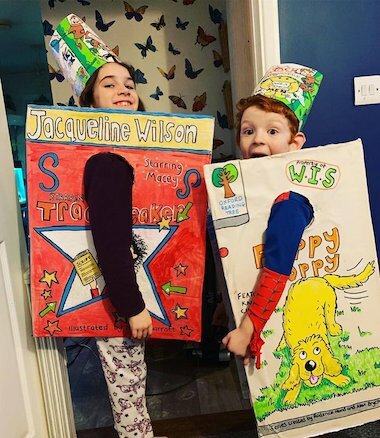 Rather than dressing up as book characters, Macey, 10, and Isaac, 5, decided to dress up as the books themselves. We were so impressed with their attention to detail – they even wrote inside the books! 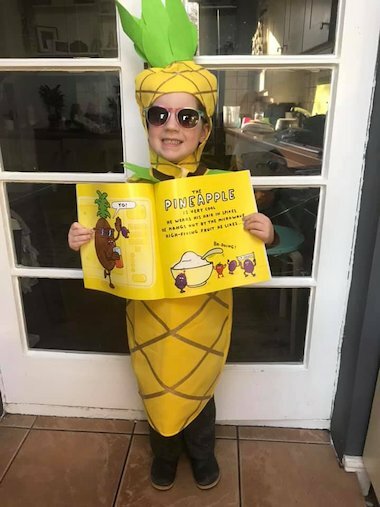 Look at this amazing pineapple costume! Inspired by Clare Foges and Al Murphy’s hilarious rhyming picture book, Kitchen Disco about what the fruit in the kitchen get up to when everyone’s asleep. This colourful costume definitely caught our eye! 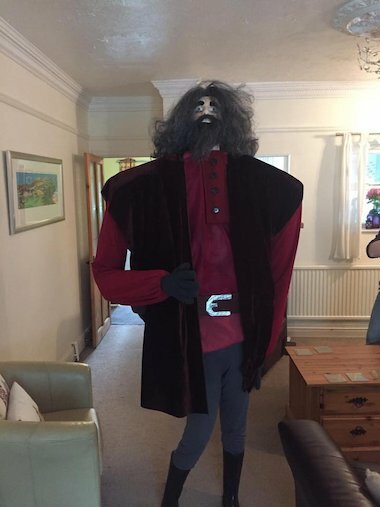 Sally, 11, and older brother Sam, teamed up to make this impressive Hagrid costume. This life-size outfit must have taken a lot of thought and effort – we think the hard work has more than paid off. Well done Sally and Sam! Oi Frog! is one of our firm picture book favourites – and so is this costume! Jacob, 6, is even sitting on a log, just like the frog in the book by Kes Gray and Jim Field. The detail of the webbed hands and feet is fantastic! Everyone loves Paddington Bear! 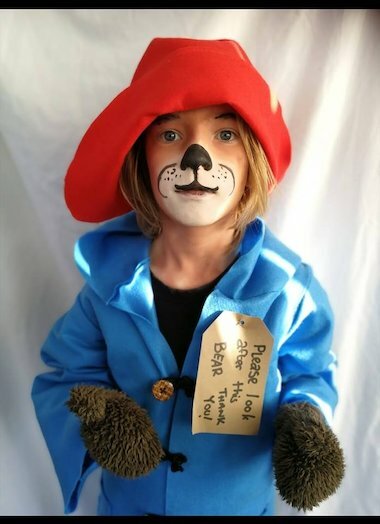 Hugh, 10, has his costume spot on, from the red hat, the blue duffle coat and the parcel label saying ‘Please look after this bear’. 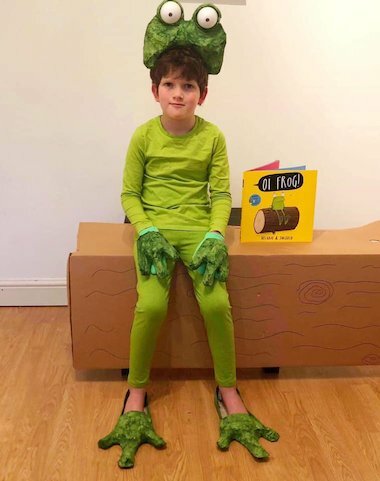 Another brilliant costume for World Book Day – well done! 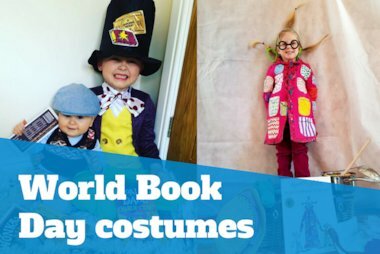 We were so impressed by ALL of your World Book Day costumes, but here are our competition winners! As it’s half-term week, we’re celebrating with another giveaway! 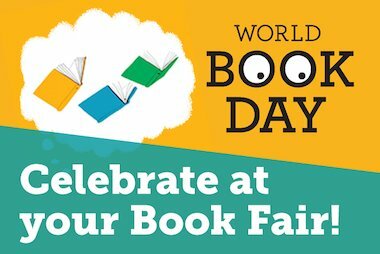 This time, you could win our classic picture book pack.